May is Asian Pacific American (APA) heritage month! This designation was originally passed into law 1978 as a 10 day celebration that was extended to a month in 1992. The month was chosen to commemorate the first Japanese immigrant to the U.S. on May 7, 1843 and to mark the completion of the transcontinental railroad built mainly by Chinese immigrants on May 10, 1869. Courtesy of the Asian American Resource Center. This is a uniquely American celebration when federal agencies such as the Library of Congress, National Archives, and Smithsonian Institution join in paying tribute to the generations of Asian and Pacific Islanders who have enriched America’s history and success. For the 21 million APAs in the U.S. the designation compels them to consider a Pan-Asian identity that goes beyond their specific ethnicity. In Central Texas, the APA community totals about 111,000 which is almost 8 percent of the City of Austin’s population and its fastest growing demographic. In 2013, the city created the Asian American Quality of Life Commission as a reflection of this growth. The Indian, Chinese and Vietnamese populations are the three largest. The APA community is highly entrepreneurial with the number of APA owned businesses growing 7.5 percent annually. It is estimated that there are about 14,000 currently in the region. The APA community in Central Texas is fairly well organized and there are three main organizations that form the pillars for its needs; the Network of Asian American Organizations (NAAO), Greater Austin Asian Chamber of Commerce (GAACC), and the Asian American Resource Center Nonprofit (AARCNP). These organizations provide leadership in the areas of policy, business, and social services respectively. 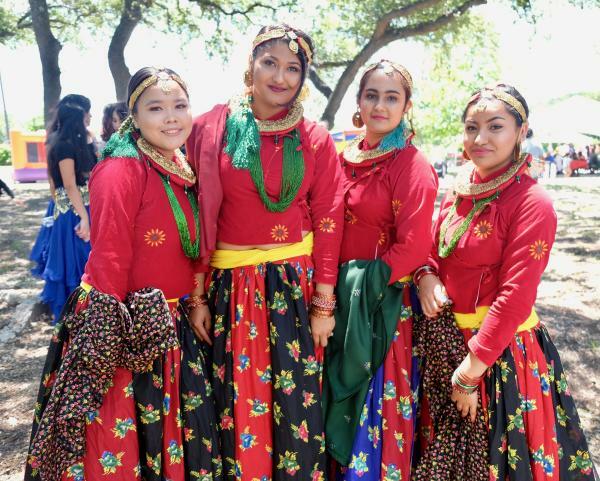 In addition to these Pan-Asian organizations, there are numerous ethnic organizations such as the Indian American Coalition of Texas, Chinese Society of Austin, Vietnamese American Community of Austin Texas, Bangladesh Association of Greater Austin, and many more. CelebrAsia 2017. Courtesy of the Asian American Resource Center. 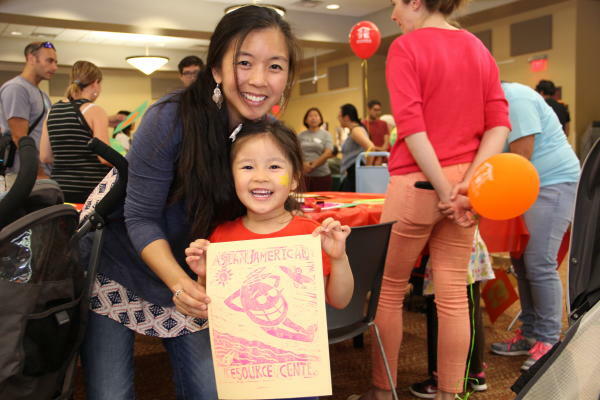 APA Heritage Month is celebrated locally by the Asian American Resource Center (AARC) and GAACC. On May 6, AARC hosts their fourth annual CelebrASIA Food & Heritage Festival at 8401 Cameron Road. The theme of this year’s event is Mango and there will be food, cultural performances and activities. Admission to event is free and open to the public. On May 19, GAACC hosts Ovation, its annual gala to recognize businesses, organizations and individuals whose accomplishments are contributing to the economy and quality of life in the entire community. This year’s honorees include Sada Cumber, the first Special Envoy to the Organisation of Islamic Cooperation, Journeyman Construction, and the Wong Family. The full list of honorees and ticket information can be found at www.OvationGala.org GAACC offers programs that educate and advocate for the APA business community. It also hosts regular events to connect folks to its constituents. For a list of their events, check out GAACC’s calendar. Given the diversity of the APA community, there is always some festival or holiday being observed every month. The AARC and GAACC newsletters or social media are the best outlets to follow to stay informed and engaged with this growing segment of our fellow residents.